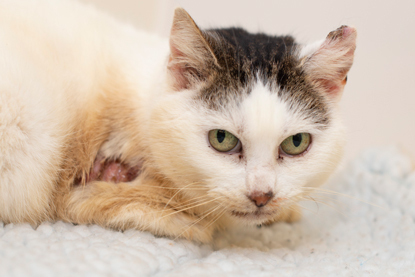 A stray cat who suffered from burns after seeking shelter from the cold under a car bonnet is receiving much-needed care from Cats Protection’s Bridgend Adoption Centre. 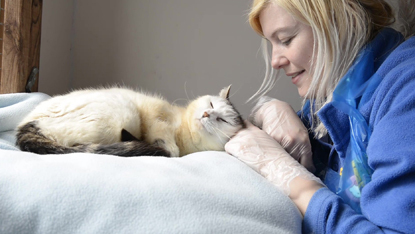 The tabby-and-white cat, who has been named Mushka, had dirty and stained fur and weeping sores on her shoulder, back and ear following her ordeal. However, her luck changed when she was brought to the team at Bridgend. 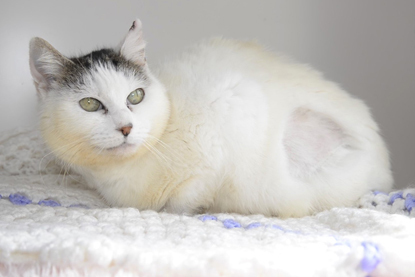 “Mushka was very scared and shied away from our cat carers when she first arrived”, said Centre Manager, Sue Dobbs. 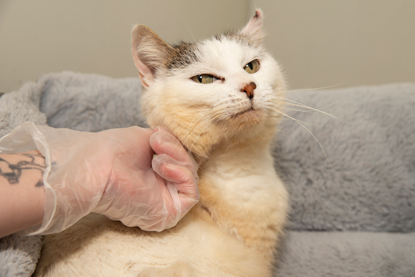 “She received treatment for her injuries and we gave her lots of TLC. “After a couple of weeks, her sores had healed enough for her to have a bath to clean away some of the dirt. Over the next few weeks, Mushka continued to recover, slowly but surely. Eight weeks later, she has a sparkle back in her eyes and her fur is becoming shiny and white. She has an entourage of cat carers waiting to do her bidding and she is affectionately called Princess Mushka by the team. Sue said: “Mushka has come a long way from the sorry state she was in when she was first admitted into our care eight weeks ago. 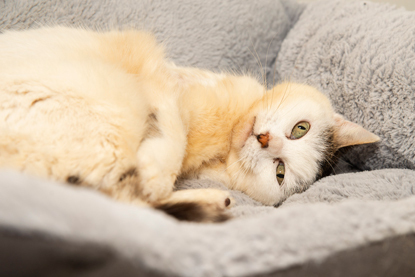 “Her miraculous transformation from the poorly cat she was into the Princess Mushka we now know and love is a testimony to the hard work and commitment of the team at Cats Protection Bridgend. “She continues to make steady improvement and hopefully will be available for adoption in the coming weeks.